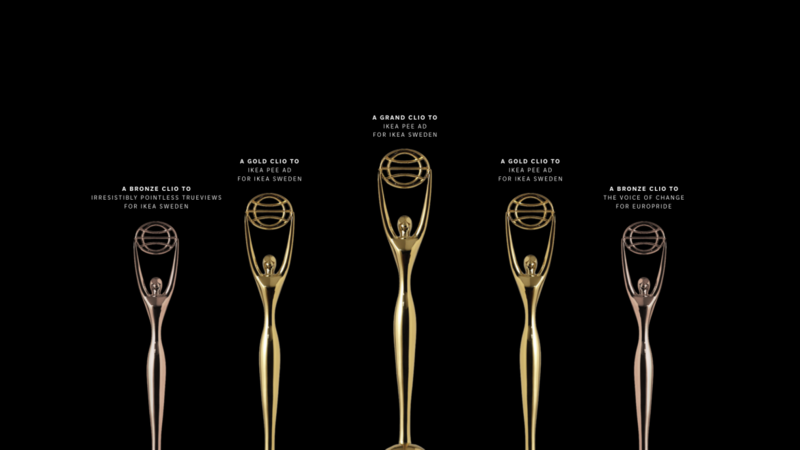 Little Åkestam Holst took home the big one at the Clio Awards yesterday. We won the Grand Award (Best in show ) for our IKEA Pee Ad, billed as being ”Heads and shoulders above all entries – the best ad in 2018”. Good work everyone, and especially good work from the IKEA Pee Ad-Team who worked very, very hard to make this ad happen. And as always, a big thanks to IKEA for being brave enough to do things that stand out, and giving parents and IKEA Family members a really good deal.